These are words that resonate with our orthodontists and staff here at Whitney Orthodontics. 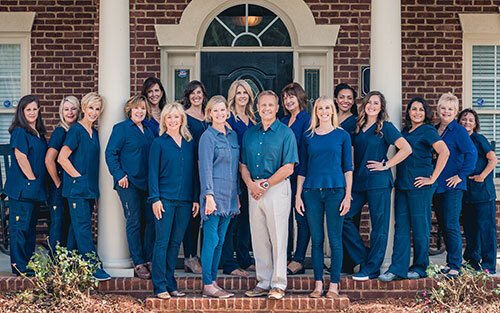 Our practice could not be successful without the support of our community – the countless parents who place their trust in us to improve their children’s smiles, and the adults who turn to us for smile improvements. Giving back to the community is important to us. It is our favorite way of showing our appreciation. We contribute to the community in a variety of ways each year. Finances shouldn’t prevent children in need from receiving beneficial orthodontic treatment. 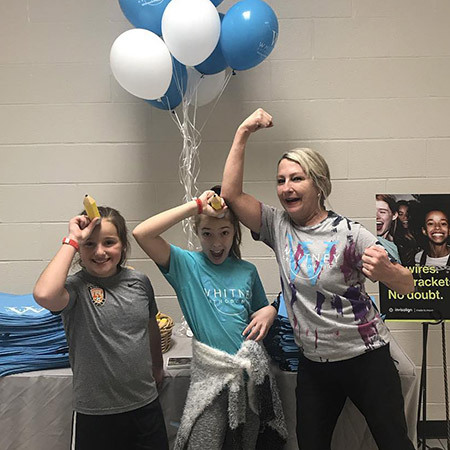 We are proud participants in Smiles Change Lives, a nonprofit organization that helps families provide orthodontic treatment for their children, based on financial qualifications. We provide complimentary treatment for up to four patients each year. 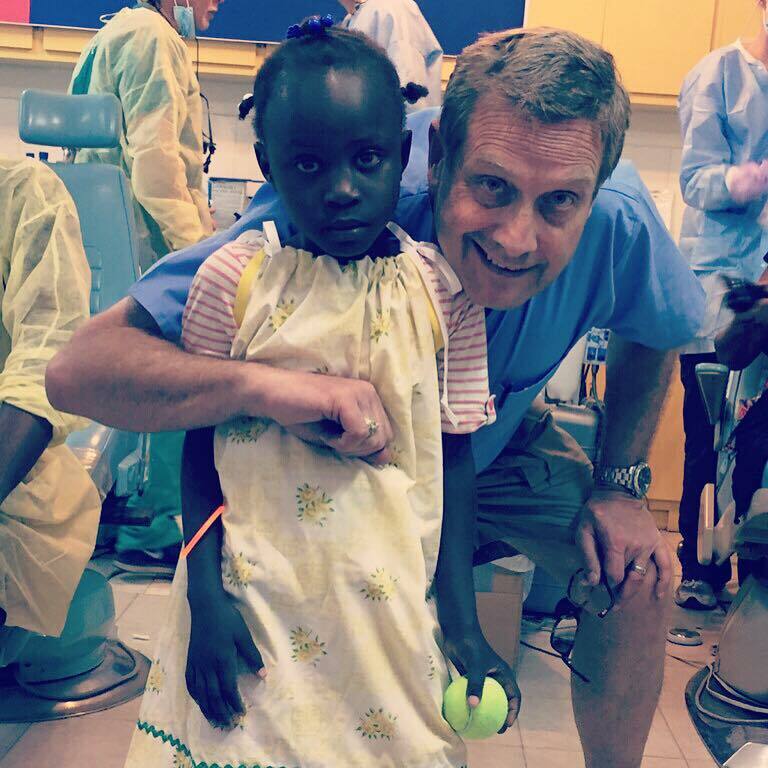 Dr. Jim and Dr. Elaine have a heart for the people of Haiti, and they have traveled to this impoverished country for years on medical mission trips to provide dental treatment. The Whitney Clinic in Haiti is a full-service dental clinic where thousands of patients without regular access to care have been treated. Our office is a business partner with three elementary schools, one middle school, and a private school. Through our partnerships, we participate in open houses, winter carnivals, provide items for giveaways, and offer teacher and staff discounts. We also bring our ice cream truck to our partner schools. 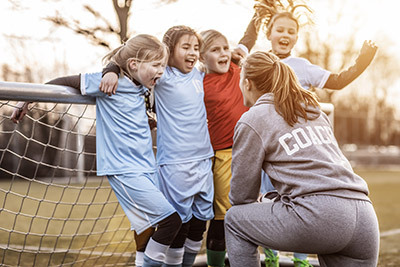 Sports are a popular pastime in our community, and we help kids stay active and learn valuable sportsmanship skills through a number of local athletic team sponsorships. One of our most loved activities is visits by the ice cream truck. We take the truck to swim team meets and other athletic events. We also visit local dental offices as a way of showing our appreciation for their partnership and referrals. In the office, our patients enjoy visits to our ice cream freezer. 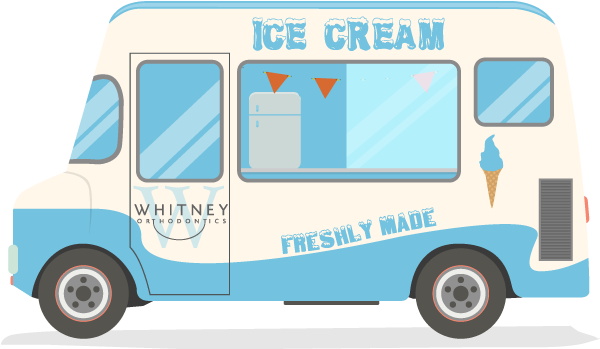 Cold therapy is good for teeth after adjustments, and what better way to get cold therapy than with a tasty frozen treat? We are proud sponsors of this annual two-day event that features nearly 200 vendors, 15 entertainment acts, and a parade. We have a booth each year, and we always have some sort of fun entertainment, activity or contest going on throughout the event. We deliver pumpkins to area dental offices so they can decorate them. Then we host a contest for everyone to vote on their favorite. This is one of our favorite ways of ushering in the fall holidays.